No doubt about it, Atlanta is a modern-day metropolis with a vibe that’s fueled by multinational corporations, world-class cultural institutions, and a generous dose of gracious hospitality. Beyond the city’s soaring skyscrapers, an undeniable Southern spirit is felt all around. Whether you’re taking in our favorite attractions, noshing on fresh-from-the-farm cuisine, or settling in for a week’s worth of back-to-back meetings, there’s no better city to call home. And with our Sotherly Host to point you to the capital city’s hottest hotspots, you’re in good hands here. Trevor Hollis is our Sotherly Host. What's that, you might ask? 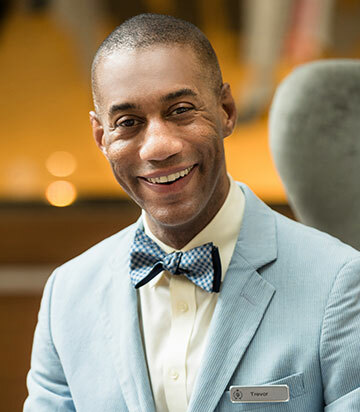 Part concierge, part brand ambassador, all-round expert on all things Atlanta. 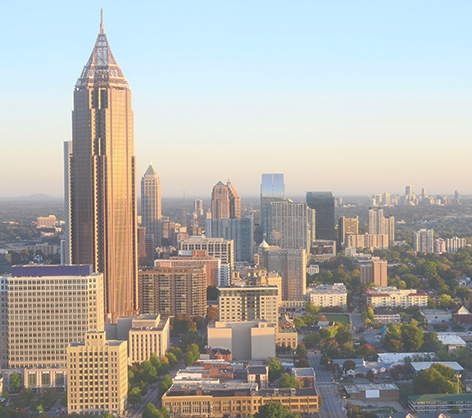 Whether you're looking for a fun day in the city or a night out on the town, Trevor is your go-to for the best places to eat, drink, and explore in Atlanta. 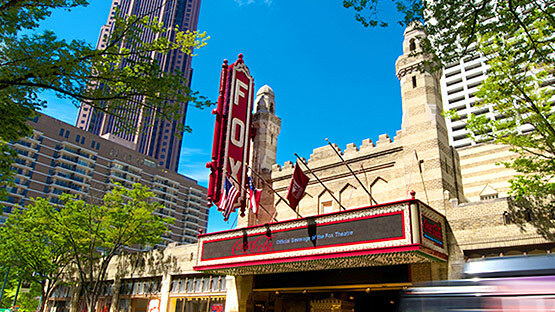 Founded in 1929, this historic performing arts center is a cultural and artistic landmark in Midtown Atlanta. The 4,446-seat theatre features Broadway shows, the Atlanta Ballet, and a classic summer film series you don’t want to miss. 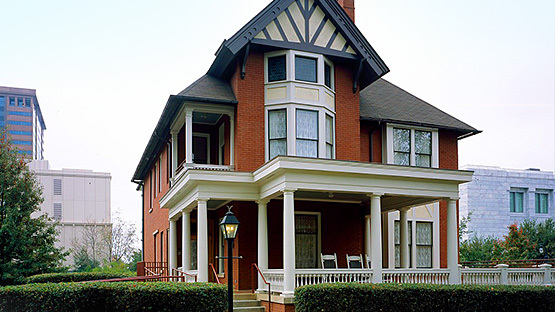 Visit the home of famous civil war era author Margaret Mitchell and see the exact spot where she wrote her classic novel, Gone with the Wind. The house contains a museum and visitor’s center dedicate to Mitchell’s life’s work. Looking for a cool outdoor destination? 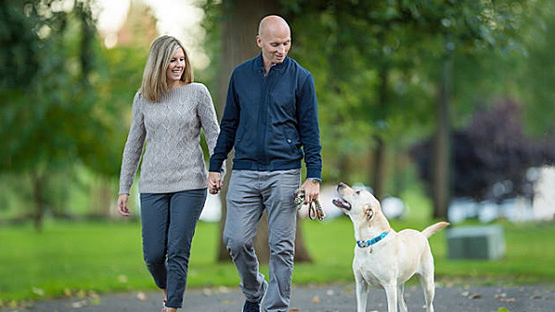 Look no further than Piedmont Park, the perfect place to take the dog, the kids, or both. With tons of events, multiple sporting areas, dog parks, and miles of walking paths, there’s something for everyone in this shaded escape. Immerse yourself in the world of America’s favorite beverage. 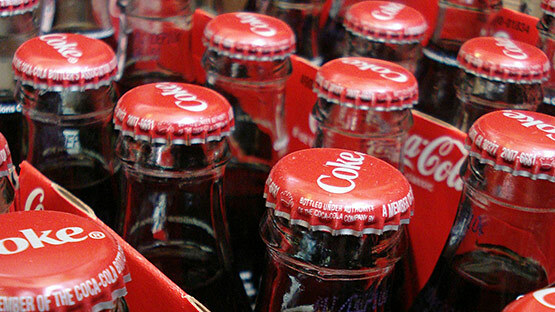 At the World of Coca-Cola, you can explore the multiple exhibits dedicated to Coke’s history, sample over 100 different Coca-Cola products, and even see the vault where the legendary secret formula is secured. 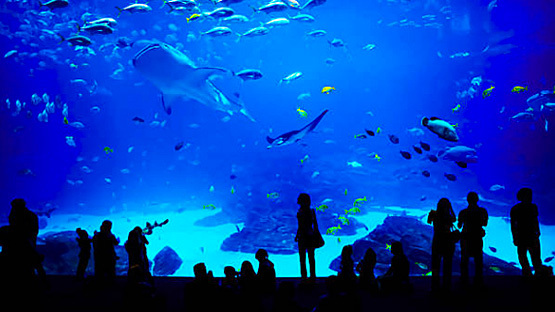 A family favorite, the largest aquarium in Western Hemisphere is certainly something you don’t want to miss in Atlanta. The aquarium holds ten million gallons of water and houses thousands of species of aquatic wildlife. The High Museum is the premier art museum of the southeast. 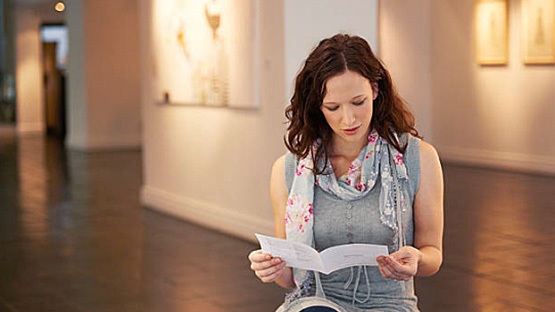 With multiple collections comprising 15,000 works spanning centuries, the High Museum is the perfect place to experience the best art America has to offer. Established in 1968, the King Center is a living memorial to legendary civil rights leader Martin Luther King. 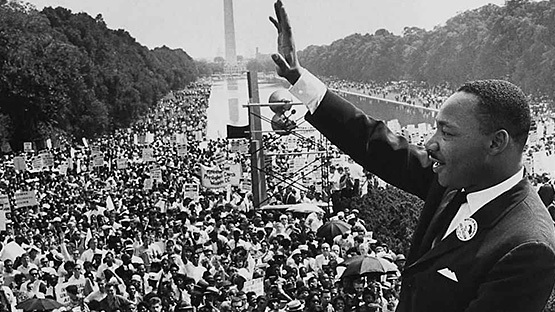 The King Center holds exhibitions and collections of artifacts and memorabilia from Dr. King’s life to help you further appreciate his legacy and life’s work. 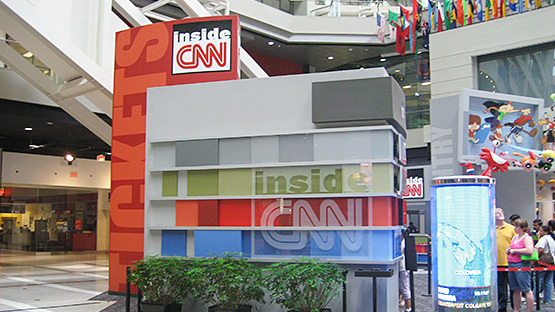 Founded in 1980, CNN has grown into the largest news organization in the world. See where it all began with an exclusive behind-the-scenes walking tour that’ll give you an in-depth look at how CNN operates. 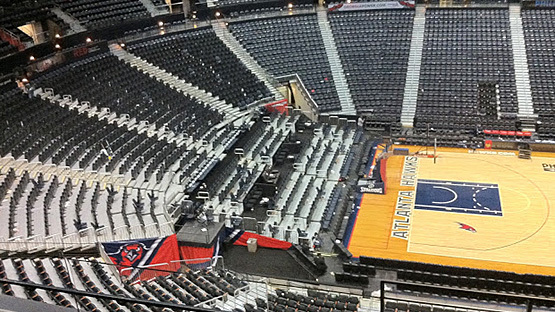 A slam dunk for basketball fans, Philips Arena is home of the NBA’s Atlanta Hawks. The multi-purpose, state-of-the-art indoor stadium also hosts concerts and other events that will surely provide your entertainment fix. This 21-acre public park was built for the 1996 Olympic games and has hosted millions of visitors each year since. 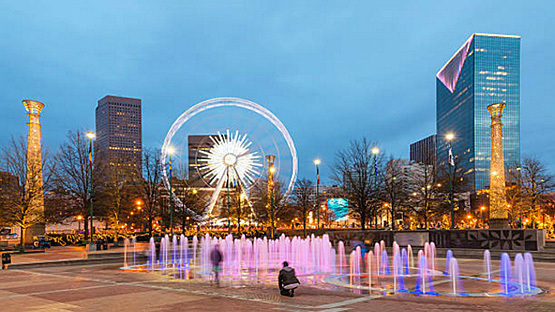 Situated in the heart of downtown Atlanta, the park features several fountains, statues, and a small amphitheater for outdoor performances. Take a trip to the Mercedes-Benz Stadium, the new home of the NFL’s Atlanta Falcons and MLS’ Atlanta United FC. 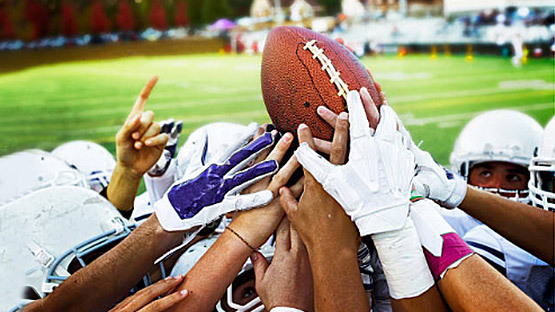 The state-of-the-art arena began construction in 2013 and is set to wrap in time for the 2017 NFL season. Walk the grounds of Georgia Tech, the largest university in Atlanta. 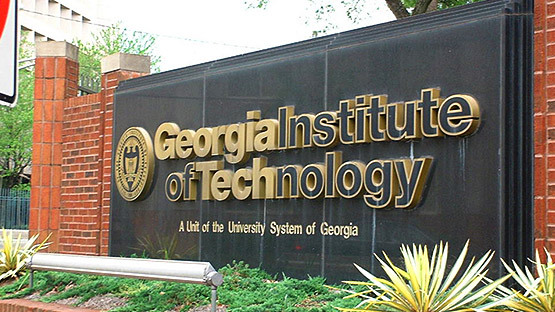 The 373-acre campus features hundreds of academic buildings and several sports complexes, including the historic Bobby Dodd football stadium and the McCamish basketball pavilion, home of the GT’s Yellow Jackets. Relive history in the Carter Presidential Library and Museum, which features documents and papers relating to the 39th president’s administration and life. 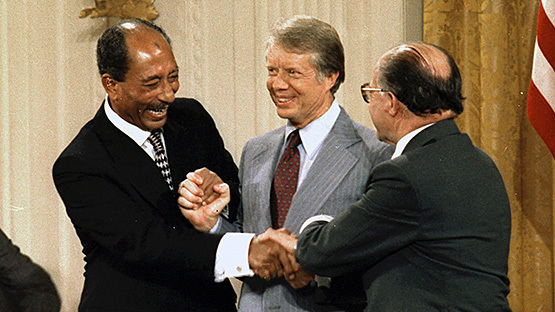 The museum features exhibits on the Carter presidency and even houses a full-scale replica of the Oval Office. 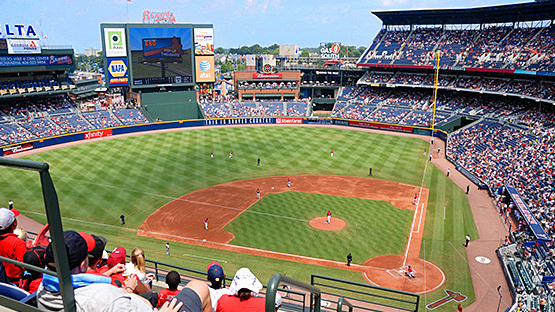 Home of Major League Baseball’s Atlanta Braves, SunTrust Park is the perfect destination for cold beer, hot dogs, and America’s pastime. The park features a baseball-themed arcade, a sky section that provides an unobstructed view of downtown Atlanta, and several restaurants. 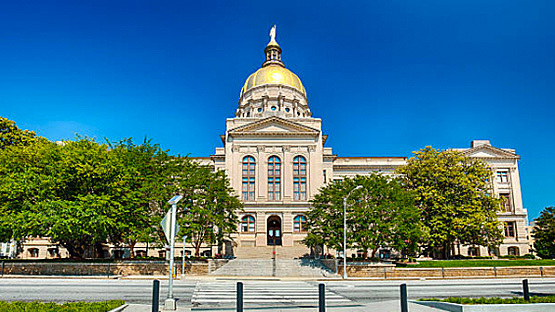 The Georgia State Capitol, designed after the United States Capitol, provides a historic look into our nation’s history. The Capitol is an active building that houses the Governor’s Office and serves as the meeting place for the state’s general assembly. 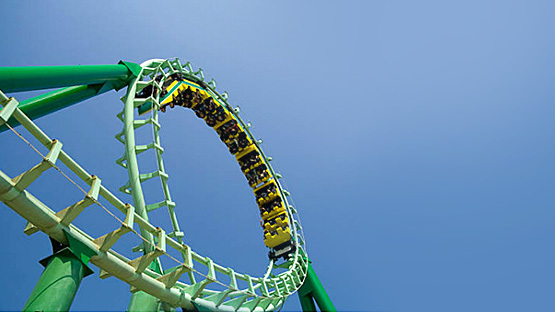 Receive the thrill of a lifetime at Six Flags, located just twenty minutes from downtown Atlanta. With 11 famous roller coasters and over 40 unique rides, including specialty theme rides from Looney Tunes and DC Comics, there’s something for everyone at Six Flags over Georgia. 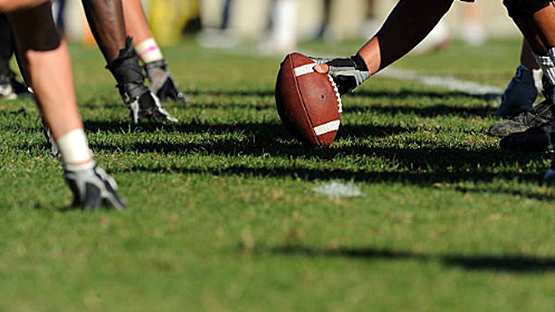 See the enshrinement of College Football’s greatest players at the College Football Hall of Fame. The Hall houses an indoor playing field, a game-day theatre, and a fan center in addition to the memorials of 987 players and 214 coaches.